The Clone Doctor slowly opened his eyes as he struggled to come back to the waking world. He looked over at the wall and noticed the sunlight was filtering in through the closed curtains. His eyes drifted to the alarm clock on his bedside table and he noticed it was nearly noon. "Blimey, I must have been dead tired," he muttered. He turned his head to see if Rose was there and groaned softly when he noticed she was all alone. "Woman has more energy than I do," he muttered as he sat up and swung his legs over the side of the bed. I'm sorry for doing this to you. It's a cowardly way to say goodbye but I don't want an argument. I can't stay with you any longer. I love you but I'm not in love with you. I'm in love with the original Doctor and it's not fair to either of us for me to keep up the charade. You deserve someone who can love you with all their heart and I'm not that woman. I wish you the best of the luck, Doctor, please don't hate me. I'm going to use the dimension cannon and try to go back home. I don't know if it'll work or not but I have to try. Please understand and go on with your life. Find true happiness, the sort of happiness you can't have with me. The Doctor angrily crumpled up the letter and threw it to the floor. He stood there for a moment shaking with anger before he made up his mind to fight for his relationship with Rose. "You may think it can't work, Rose. 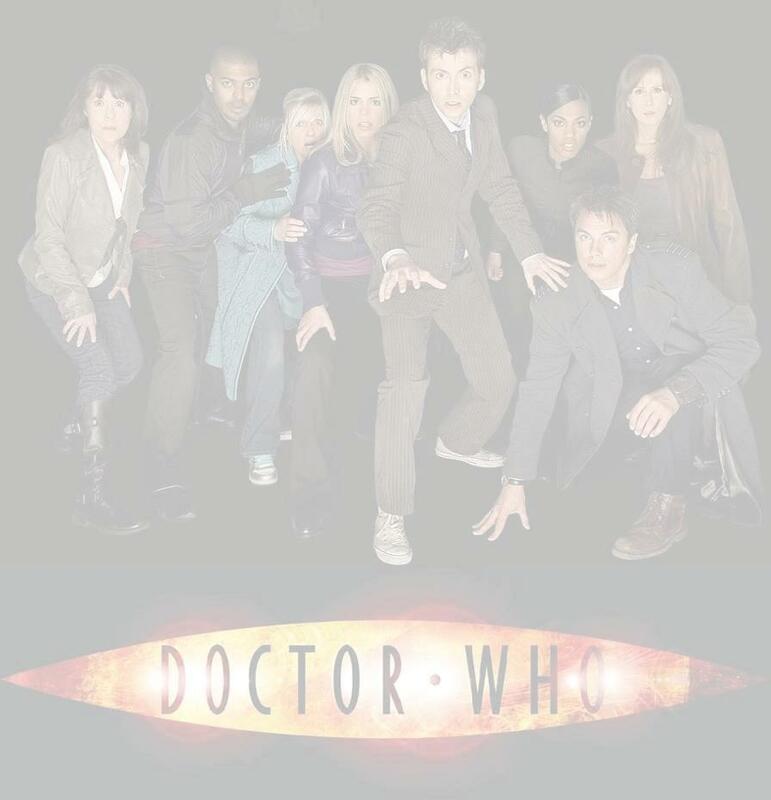 But I'm not going to give up just yet," the Doctor said before hurrying to get ready to go to Torchwood. Rose followed Clara and the Doctor back to the TARDIS. Normally, she would have been overjoyed to see it but the fact that the man she loved brushed her off as if she didn't matter upset her and spoiled the moment. She thought that the Doctor would always love her deeply but she would never guess that a personality change meant that his love for her would dwindle since that hadn't happened when he regenerated before. She suddenly regretted leaving behind the Doctor that she knew did love her for one who might regard her as a friend at best. Still, she was determined to make the most of the situation and she was happy to be traveling with him again and finding a friend in the bargain. Clara was young like her and she seemed nice enough. At least she'd be there for the days when the Doctor would be moody. She guessed this new incarnation was much like the Ninth Doctor and she was heartened by that when she remembered the Tenth Doctor telling her that she made him better. Maybe with time, she could heal this Doctor as well. The Doctor unlocked the door and opened it and Rose was stunned a second time when she saw the interior. Gone was the organic look, replaced by a steel interior. Rose stepped into the interior and felt the same way she felt when she first saw the TARDIS as she looked around the console room. Clara noticed her shock and walked back. "What's wrong?" she said to Rose. "It's different, very different from the way it was," Rose said. "It's just a bit of a shock, that's all." "I had a coral interior, not metallic," the Doctor said to them as he stood at the console. "The TARDIS was damaged when I regenerated into my eleventh incarnation and chose a metal interior. I liked it and changed it again before I met Clara and now I've recently tweeked it. Still not happy with it though, still needs more round things on the walls but it'll do for now. Close the door, Rose." Rose shut the doors and the Doctor sighed and ran his hand over his head. "Still need to work on the console so we're not going anywhere yet. So if you want to find your room, Rose. I'm sure it's in the same spot as before. Clara, go with her. You can keep each other company while I try to sort this out." Rose nodded and headed towards the back door with Clara. The Doctor stood at the console and watched them leave the room. He waited another minute, making sure they weren't coming back inside before he left the console and headed upstairs to his chair. He lowered himself into it and put his hands in his head. "Blimey, why is nothing ever easy?" he muttered to himself. He took his hands away and sat back in his chair, contemplating the events that just transpired. He didn't want to admit it but he still loved Rose deeply just as he still loved Clara. Things had gotten complicated with Clara. He nearly lost her when she jumped into his time stream and that had terrified him, even though it was supposed to happen. Then he became trapped on Trenzalor and he tried to send her away to protect her just as he sent away Rose but like Rose, Clara kept on returning, loyal to the end. He'd suffered so much loss and so much heartsache during the past 2000 years that he just couldn't bear it anymore. So he laid the ground rules from the start, telling Clara he wasn't her boyfriend and he wasn't a hugger to discourage her from getting too close. But now, Rose was back and with it, his old feelings for her that he'd manage to shove down into the very core of his being. How was he going to handle this one? He hated seeing the hurt look on her face when he told her they couldn't be lovers or even hug. "Complications, always complications," he muttered as he stared at the ceiling. The Doctor jerked his head towards the back door when he heard Clara's voice. He quickly got up and tried to appear casual. "Yes. I was thinking over the problem with the console," he said as casually as he could as he came down the steps. "Don't give me that, Doctor, you were thinking about Rose," Clara said, coming towards him. "Why? Did she tell you that?" the Doctor said to her. "No, I can tell that she loved you deeply. I'm not blind." "Do you still love her?" Clara said. "Would it shut you up if I told you it was none of your business?" the Doctor said brusquely. "It might but I'm not meaning to be intrusive…"
"Well you are being intrusive, Clara. What happened to Rose and me is between us. And that part of my life is over. I will be friends with her like I'm friends with you. We can be mates in that sense but not mates in the other sense, is that okay?" "Yes, Doctor, sorry," Clara said, wishing for the hundredth time that this Doctor was like her other one. The Doctor sighed, hating that she was upset with his new personality. "Look," he said gently. "Some things are personal to me and I don't want to discuss them with the wider world. There are some things you and I shared that I wouldn't tell to outsiders. I know you're curious but could you please respect my need for privacy with some things and not be angry because I'm not pouring my hearts out to you." Clara nodded and the Doctor squeezed her arm. "If Rose is here, I want us all to work together and have a harmonious relationship. I don't want the past intruding on that. Alright?" "Thank you," the Doctor said. "Now, let me work on my console." Clara nodded. She gave his arm a squeeze before walking out of the room. The Doctor watched her go and when she was gone; he shook his head sadly and let out another sigh before turning his attention back to the console.